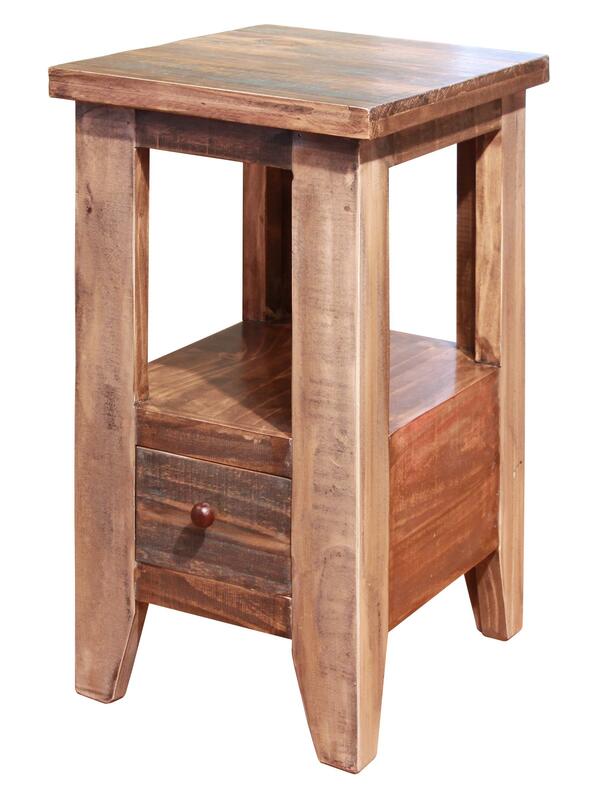 Place this small table next to a chair for a place to set the remote, your beverage or a book. Complete the look of your living room with this simple and stylish accent table. The Antique Chair Side Table with 1 Drawer by International Furniture Direct at Zak's Home in the Tri-Cities, Johnson City, Tennessee area. Product availability may vary. Contact us for the most current availability on this product. Wood & Finish Eight-step hand rubbed finish with multi-step lacquer finish and multi-toned colors. Handles & Hardware Simple round knobs for drawer pulls. 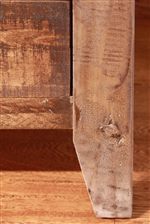 Case Construction Features 100% solid pine with mortise and tenon construction. The Antique collection is a great option if you are looking for Rustic furniture in the Tri-Cities, Johnson City, Tennessee area. Browse other items in the Antique collection from Zak's Home in the Tri-Cities, Johnson City, Tennessee area.